The Alzheimer’s Association was incorporated in 1980 to provide persons affected with the disease and Rhode Island Alzheimer’s caregivers with support and information regarding AD. 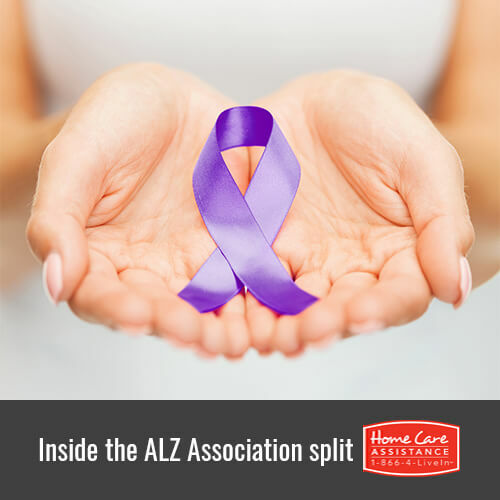 In addition to offering referrals to support groups and neurological clinics, the Alzheimer’s Association also raises funds for Alzheimer’s research. Aside from the national organization, there are 54 local chapters. There is one in every state, with many largely populated states having multiple chapters. Unlike many health organizations, most local chapters of the Alzheimer’s Association were founded independently, created out of caregivers’ grass-roots efforts. Local chapters typically offer caregiver education and support programs that play a direct role in helping patients and families. Local chapters also educate their wider community about Alzheimer’s disease through fundraising and charity events. In 2015, the national Alzheimer’s Association proposed that local chapters consolidate with their office, transferring operational authority and financial oversight to the national office. Local chapters were further asked to share their fundraising revenues with the national chapter. The response of many local chapters, including the ones in San Diego and New York, was to disaffiliate or break away from the national organization. In doing so, they gave up the rights to the name and logo as well as the website and helpline infrastructure of the national Alzheimer’s Association. Local chapters cited the national chapter’s mismanagement of funds as a reason to break away. The national chapter’s research funding dropped from $28 million in 2007 to $13 million in 2013 while executive compensation and staff payroll increased. Disaffiliation can be a difficult process for local chapters as they are forced to rebrand and restructure their individual organizations. Fortunately, no local chapters have closed as a result of the split and Rhode Island dementia caregivers and patients are still able to receive the outreach, education, and support they need to effectively fight Alzheimer’s in their own communities. Turn to Home Care Assistance to help your loved one fight Alzheimer’s or dementia at home. Our reliable in-home care in Rhode Island gives seniors the emotional and cognitive support they need to delay the onset of dementia and exercise memory skills. Additionally, our compassionate caregivers assist seniors with daily activities of living such as grooming, dressing, bathing, prescription pick-ups, and physical exercise. Learn more when you call (401) 284-0979 today and speak with a knowledgeable Care Manager.